Matthew is a NATIONALLY RECOGNIZED TOP TIER DUI LAWYER with the highest success rate. What drives Matthew to obtain the best results for his clients is the desire to win and save his clients from the stigma of a DUI and the consequences that flow therefrom. If you want to have someone with a law degree and a suit hold your hand and plead guilty, hire someone else. However, if you want a FIGHTER in your corner to challenge every aspect of your case and obtain the best results, call Matt. "Matt saved me on a DUI. He made a deal with the prosecutors even after they told him none would be made. He stuck to his non-argumentative advocacy of my case, figured out a couple technical points to file motions about (thus making more work for the prosecutors should we go to trial), and ultimately got them to cave to a lesser charge of "wet reckless". This saved me money, and moreover, prevented me from having to get the dreaded "blow device" installed in my car. Matt had already been paid his fee, so he had nothing more to gain, and could have easily just allowed me to take the stiffer penalty, but HE DID NOT GIVE UP. Am super satisfied and full of gratitude for Attorney Matthew Ruff". Cases of the Week: A prior client hired Matt to defend him on his third DUI in Orange County California, Fullerton Court. The District Attorney charged him with child endangerment and resisting arrest as well because he fled the police after they tried to pull him over, leaving his 4 year old daughter in the car. Matt had a steep hill to climb, however he put together a strategic defense alleging violations of the client's Constitutional Rights. Before the motion could be heard the DA dropped the charges involving child abuse and resisting and a NO JAIL deal was worked out. Matthew was retained to defend a client arrested for DUI in Redondo Beach. The case involved an accident with a parked car near the Pier. The client was a nurse and had 2 prior DUI arrests and was on probation out of Torrance Court. ( A 3rd DUI in California carries a minimum of 120 days in jail). Matt knew he had his work cut out for him. He put together a case where he negotiated a deal for NO JAIL TIME. Probation was reinstated and NO COMMUNITY SERVICE was imposed. In another noteworthy case Matthew got a NOT GUILTY verdict on a DUI case in San Fernando this week. The client blew .11 on the breath test and was under 21. The jury was out for less than 1 hour and returned not guilty verdicts on all counts. The client was arrested by the CHP last year and was ecstatic about the results. Client was arrested for DUI after he was found passed out inside his car in Santa Clarita. The arresting officer detected a strong odor of alcohol and he failed the FST tests. A breath test revealed a .12 BAC. The client was a recent college graduate and was in an EMT program with aspirations of becoming a paramedic. Matt met with the DA and negotiated a DISMISSAL of the DUI charges, saving his driving record and clearing a path for his ability to become a paramedic. Matthew was retained by a member of the Redondo Beach Yacht Club who was stopped shortly after she left the Marina. The officer claimed an anonymous caller reported seeing a woman matching her description enter her car carrying a glass of wine. Upon stopping the vehicle the cop smelled the odor of an alcoholic beverage and observed symptoms of intoxication. An arrest was made and a blood test was given showing a level of .14 BAC. Matthew believed the stop was unlawful and filed a motion challenging the arrest in Court and at the DMV. The DMV agreed with Matt and threw out the case, returning her license immediately. The Court initially denied the motion but Matt appealed and got the case thrown out in Torrance Court, all charges dismissed! In another noteworthy case, Matt was hired by a Redondo Beach resident who was found inside his car, near a bar, intoxicated at 2 am with the engine running and lights on. The accused was very inebriated and blew a .13 BAC on the breathalyzer. Matthew took the case because he believed the client was not guilty of DUI because he never drove the vehicle after drinking. A DMV hearing was scheduled and Matt argued his client was wrongfully arrested and the evidence was insufficient to show driving at a time his blood alcohol level was at or above .08. Following testimony of the officer and the client, the DMV agreed with Attorney Ruff and found the arrest was illegal, returning the license immediately! Subsequently, all criminal charges were dropped by the Redondo Beach City Prosecutor. "I started fighting my DUI with a different attorney who, unfortunately, passed away. Matthew Ruff was kind enough to pick up where that good gentleman left off, despite having an already full caseload. While waiting outside the courtroom to speak with him about my case for the first time, I saw another attorney approach him and ask him for advice; that's when I knew I had the right man on my side. When my brothers, (who were also my witnesses), saw him for the first time they joked that he had "lawyer swag". He was very confident and when facing a criminal case you want someone who is confident in their ability. I was ridiculously nervous but he never seemed to be, and that helped put me a little more at ease. When I was at my wits end and just wanted it to be over, I was willing to take the deal that was being offered. He told me he never recommends someone take a deal just because they're frustrated. And I'm so glad that I didn't. When I think back to all of the people I watched stand up in front of the judge, their lawyer beside them, plead guilty or no contest I'm thankful for the fact that I had Matt. He could've let me take the plea so he didn't have to deal with a trial. That could have been me, stuck in 9 months of DUI classes, paying tons of money that I don't have in fines and court fees. Instead, my case didn't even make it to trial because of a motion Mr. Ruff filed that the judge granted, and my case was dismissed. This whole ordeal was one of the worst experiences of my life - I'd never been to court for even a traffic ticket and had now been arrested and spent Christmas day in jail instead of with my children. The stress of wondering what was going to happen and whether or not I would ever be able to get a teaching job once I finished my program was emotionally exhausting. Matt Ruff has my most sincere gratitude for bringing it to an end and restoring my piece of mind. I truly can't thank him enough". Recently new laws were enacted that allow those arrested for driving under the influence in 2019 to get their driver's license back with no actual suspension. Prior to these new laws an offender would have to wait a minimum of 30 days before he or she could start driving again. Certain conditions apply before reinstatement can occur, Matthew is an authority on this new legislation and has written articles on the subject. Call Matt for more information on how they can help you get back on the road. Matthew stays in touch with all of the latest scientific studies related to dui enforcement in California. For example, Recently the University of San Diego launched a prolific study on cannabis and how it impairs driving ability. The study seeks to find levels of THC at which everyone is too high to drive. One of the biggest problems associated with the study is that the United States Government classifies pot as a schedule 1 drug with no medicinal value, therefore getting the marijuana to administer the test subjects will likely be a challenge given the national agencies involved in the project. Unlike alcohol which has set per se levels at which all drivers are considered under the influence, marijuana lacks the nexus between set levels of THC and known impaired ability. Attorney Ruff knows all of the ways the cops, labs and prosecutors cheat in drunk driving cases is what sets Matt apart from most lawyers. For example, Did you know that the testing equipment used to capture and report a person's blood alcohol level is prone to error for many different reasons. For example, most breath machines used by police departments in California work under the "assumption" that the subject is a "normal" person with normal characteristics. However, these assumptions often falsely report a large segment of the population. One major way the devices fail to accurately measure a true blood alcohol level is due to the assumed temperature of the person blowing into the device. If the subject has an elevated body temperature the breath tester will overstate the BAC by about 8% for every degree above "normal". Therefore, a person with a high temperature due to fever, flu, cold or infection who blows a .08 or .09 can very likely be falsely charged with DUI even though they are innocent. In particular, breath machines are prone to certain kinds of error known as "variation from value". This error stems from sloppy accuracy test checks done by law enforcement. Here is how it can falsely report a subject's true BAC: When the device is checked it is done using a simulator solution with a known value of alcohol, this solution is run through the device and the reported value should be exactly the same as the known value, but often it is much higher, this is known as a vacation of value. The problem arises in low BAC cases where a person may be reported as a .08 when in fact they are a .07. The only way to know this is to subpoena the records and check, but many attorneys don't do it. Matthew does and has beat a number of cases on this little known dirty little secret in the law enforcement community. Anyone arrested for DWI or drunk driving should contact a lawyer to discuss this and a litany of other errors that can occur with blood or breath alcohol testing. 1. Matthew has defended well over 4000 DUI and Criminal cases with 23 years experience fighting driving under the influence charges for his clients. This experience makes a BIG difference in how your case is resolved. 100% of his practice is a DUI, criminal charges and DMV hearings. Unlike many other lawyers, he does not handle other cases such as divorce, personal injury, bankruptcy, etc. He is a "master of DUI" which is why he is rated 10/10 by the nations largest attorney rating service AVVO and an exemplary record with the California State Bar. Experience counts, hire the lawyer with 2 decades of case law under his belt. 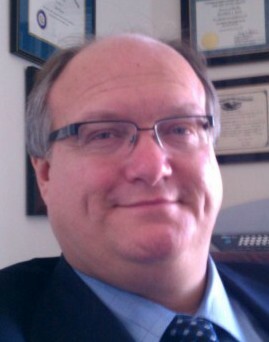 Matthew has taught other lawyers on DUI and DMV defense in seminars and other training courses. Matt routinely attends training on new techniques for defending these cases so that he may be "up to date" on any new developments in science or the machines used to determine your blood alcohol level. He is considered an expert in the inner workings of breath testing equipment in the state of California. He belongs to all major organizations devoted to the education and he support of DUI defense and protection of crucial Constitutional Rights. 2. Matthew is an active member of the National College of DUI Defense. This organization is committed to the mastery of all legal aspects of impaired driver defense. When choosing to hire a lawyer to defend your case you should inquire whether the practioner belongs to NCDD as this is a strong indicator that he or she takes these cases seriously and is actively involved in keeping up to date with all the latest techniques, new case law and trends. 3. When you hire the Law Office of Matthew Ruff you get Matthew as your lawyer. Unlike many other firms, the person you talk to on the phone may not be the person representing you, you may speak to the experienced attorney who signs you up only to discover that another stranger is appearing for you in Court and at the Department of Motor Vehicles, or you get "passed off" to other lawyers within the firm throughout the course of the case. This will NEVER happen when you hire Matthew Ruff, in fact he gives you his cell phone number when you hire him so that you can speak to him directly when you have questions, concerns or require updates about your case. You will NEVER be "passed off" to a paralegal, case manger or secretary. Matthew has received dozens of five star ratings by all major review sites in his 23 years of practice, here is a recent example of a satisfied client's review: "My wife retained the services of Matthew Ruff to represent her in a tough DUI case. Her situation was unfavorable at best, however Mr. Ruff exceeded our expectations in representing her and we ended up with a favorable conclusion to the case in 2015. I recommend this attorney based on our experience and he well deserves a five star rating!" If you are reading this right now it is probably because you or a loved one has been arrested for a DUI in California. This wesite was designed to give you the critical information and resources necessary to understand the basics of Driving Under The Influence charges and its potential consequences and mandatory penalties. After you are arrested and facing a Court date you need to choose a qualified DUI lawyer quickly, unlike many other crimes where you can wait until your arraignment, this state punishes those who fail to take immediate action and affirmatively request a hearing to challenge their license suspension. A competent and skilled California Defense Attorney will be able to evaluate your situation and set an effective strategy to get you the best result possible. Matthew Ruff can answer your questions about DUI law and the potential consequences one may face. Be aware that not all lawyers have the experience and PROVEN TRACK RECORD to represent you on a DUI, Attorney Matthew Ruff has successfully represented those charged with operating a motor vehicle while impaired and DRUNK DRIVING for over 20 years with Offices in Central and Southern California. He welcomes your call for cases in Torrance, Bakersfield, Redondo Beach, San Luis Obispo, Los Angeles and all of California. You have come to the right place to get the important legal information you need to know about CA driving while intoxicated Law and appearing in Court for your DUI . View Matthew Ruff's client reviews on AVVO. Question Of The Day: How does my GERD affect a breath test? GERD is a medical condition which causes chronic heartburn. It is caused by the backward flow of stomach contents into the esophagus due to a weak or damaged hiatal sphincter. A person with this disease is not a good candidate for breath testing if they had a recent drink of alcohol. Why? Because breath machines are based on an assumption that the sample being tested is "essentially alveolar" air or air that comes from the deepest recesses of the lungs near the alveoli air sacs. If the sample is mixed with stomach contents due too GERD then the test is compromised. The studies in the area are mixed but the scientific consensus is that it may have a detrimental impact on achieving a person's true BAC. Matthew is proficient with the science and law in the area, he has experienced presenting the defense to a jury and has obtained a "not guilty" verdict with a client that blew .14 into a breath machine with the medical condition. A person's health may also impact other ares of a DUI investigation. For example, if a suspected drunk driver has an elevated body temperature due to a case of the flu then it will have a deleterious affect on the breath test. The reason for this is that the machine presumes the temp of the patient is within normal ranges, if the temperature is elevated it will naturally raise the reported BAC anywhere from 5-15 percent. There have been many changes in the laws pertaining to DUI defense in the last few years. For example, our U.S. Supreme Court handed down a landmark decision that changes the way cops can obtain a blood sample from suspects. For the last decade the police have been incresing their use of "forced blood draws", holding people down and forcibly extracting a blood sample without the person's consent. The Justices put a stop to that in the Mcneeley case and now command the police to obtain a search warrant unless consent is obtained. Moreover, the way in which the blood is drawn must now comport with Constitutional standards and is subject to attack. the bottom line is that if you have been arrested and the police took blood from you, there is a good chance there may be a challenge to that evidence in Court. Just this year the Justices again handed down a landmark case that know permits law enforcement to pull over a motorist based soley on an anonymous tip that the driver may be impaired. Cases such this further evidences the fact that there is a "DUI Exception" to the Constitution in the United States. It is important for someone arrested for DUI or Drunk Driving to call a Lawyer within 10 calendar days after the arrest in order to avoid mandatory license suspension consequences. This applies to persons with a California license as well as those with out of state driver's licenses. If the individual waits until his or her Court date the driving privilege will have already been suspended and there will be no ability to obtain a hearing to fight the suspension at the DMV. In most cases we can appear in Court and resolve the criminal charges without the client having to appear. We can also fight the DMV suspension without our client needing to testify or appear at the administrative hearing. We specialize in defending DUI charges for people who do not live in California or the city where the arrest took place. For example, if you were visiting Southern California and were cited for a DUI in Los Angeles, Redondo Beach, Torrance, Hermosa Beach, Bakersfield, Kern County, Manhattan Beach or traveling the beautiful central coast and stopped in Grover Beach or San Luis Obispo, we can represent you from start to finish and you may never need to return to go to Court. On July 10, 2014 Matthew obtained an acquittal of all charges relating to an underage DUI in Santa Clarita Court. The case progressed to trial in order to obtain a disposition that did not result in any license suspension or DMV ramifications for the 20 year old client. Here are the facts of the case: A stop was made by the CHP on the 5 freeway for speeding and no front license plate. The officer claimed he contacted the driver and detected an odor of alcohol inside the car. He asked the occupants to exit and conducted field sobriety tests on the client along the roadsid. A preliminary alcohol screening breath machine was used and displayed a result of .07 and .06 BAC. The license was confiscated and the car was towed. Client was issued a citation for VC 23140 (driiving with a BAC above .05 while under 21 years of age. At trial Matt cross examined the CHP officer and elicited evidence that the breath machine was possibly unreliable and failed to comply with the manufacturer's guidelines and the evidentiary rquirements set forth in the California Statutes. The Judge found the 20 year old NOT GUILTY. Matthew was hired by a client who worked for a major utility company in California. The accused was facing mandatory loss of his current position within the company that required that he possess a commercial license. The facts were that he was stopped while traveling on the 605 freeway around 2 a.m., heading home from a friend's house where he had consumed some wine after dinner. The CHP stopped him for speeding and weaving. He was given a breath test in the field which registered a .11% BAC. Matthew took his case and immediatly laid out a defense with the help of a toxicologist. The case was presented at the DMV hearing where he was able to obtain a "set aside" of the suspension of his license. Thereafter, in Court he filed various motions leading to the DA agreeing to dismiss the DUI charges and allow a plea to reckless driving in April 2014. Mr. Ruff represented a young woman charged with DUI and a refusal allegation after failing to submit to a breath or blood test in Long Beach California. The police reported that the accused left a bar in Belmont Shore and drove while intoxicated until she stopped and was arrested at the scene following a 911 call. The client, a gudance counselor at a nearby University, faced a 1 year automatic license suspension due to the DMV action relating to the refusal. After a hearing in El Segundo Matthew got her license returned. In Court, Matthew filed a suppression motion asserting that his client's rights were violated by the police. In September of 2013 a Judge agreed with Mr. Ruff and threw out the case. Matthew represents many clients in the area of DUI and drunk driving. Not every case results in the charges being thrown out and the case dismissed, however, there are a significant number of outstanding results for clients he defends. For example, in one noteworthy case he was retained to fight for a young man new to the state of California from North Carolina. The client was stopped by the CHP shortly before 2 am for not having a front license plate on his car. The officers observed an odor of alcohol, slurred speech, bloodshot and watery eyes and an unsteady gait when they contacted him. He was subsequently arrested for driving under the influence and was commanded to submit to a blood test. The test came back a couple weeks later as a .23% BAC. Matthew demanded a DMV hearing and challenged the stop of the client arguing that the accused was stopped illegally and his constitutional rights were violated, the DMV agreed and dismissed all charges against the client and returned his driving privileges. (Anyone reading this information must understand that each case presents its own unique defenses and challenges, just because a dismissal or great result was achieved in one particular case does not guarantee a similar result in your given situation). I am available to speak to my clients directly and provide my cell phone number to you at the outset of the case. I do not believe the client should have to go thru a legal secretary or paralegal in order to speak with their attorney. I am willing to discuss your case with you initially at no charge in order to assess and quickly determine your options regarding your drivers license, DMV consequences, Court action and possible employment consequences. I handle both big and small cases from alcohol related homicide and manslaughter to infractions such as open container, underage 21 DUI and public intoxication. I will immediately seek to have my client released from jail pending any Court appearance. Possible options are a release on the individual's own recognizance. Bail or electronic monitoring program. I believe having a client who is out of jail is essential to eventually prevailing in Court on the criminal charges. Unlike many other so called "DUI Specialists" I do not dump your case or twist your arm to enter a guilty plea. My philosophy is that every case has issues which may form the basis of a viable legal defense, the ultimate decision as to how far the case will go rests with the client. I have over 23 years of actual Court experience as a DUI attorney, former District Attorney Office experience and I am in DWI and criminal Court virtually every day and understand how Judges and prosecutors actually view criminal cases. This experience has given me clear insight into the thinking process of the people capable of dismissing the case against you. I will seek, whenever possible, to have the criminal allegations dismissed prior to the charges being filed, I will obtain a temporary license that will allow you to drive with full privileges pending the Administrative Per Se DMV hearing. I have an excellent reputation in the legal community as a top DUI attorney among the local Judges and Prosecutors. I will take the case to a jury trial if the facts and circumstances warrant it. I will pursue the "Not Guilty" or acquittal in the case if necessary. I keep my clients personally informed and convey the necessary information and advice crucial to allow the client to make important decisions regarding the case. I promise aggressive and diligent representation from the minute I am hired to represent you. I strive to avoid jail or any incarceration for my clients, even when they may be charged with multiple prior convictions, felony DUI, speed enhancements, child endangerment allegations, hit and run associated with the incident or have a pending probation violation. I have a proven track record of success (Dismissals and Set Asides at the DMV) in all types of drunk driving and alcohol related offenses. Unlike other DUI Lawyers, I only practice criminal defense which is what a DUI is, thereby allowing me to focus on one area of law. I represent my clients in both the Criminal Court on the charges and at the DMV drivers license suspension hearing in order to protect their very important driving privilege. What about representation for a minor for underage DUI? Well, Matthew has special expertise in defending young people accused of driving while above the legal limit in Torrance, Redondo Beach, Palos Verdes, Manhattan Beach and El Segundo, among the many cities in Los Angeles County. The law states that anyone under 21 who drives with any measurable amount of alcohol has violated state law and faces a mandatory loss of license. However, these cases have unique defenses that can result in a dismissal of the charges in Court and consequently the DMV. For example, recently Mr. Ruff got the case dismissed for a Palos Verdes Estates youth arrested in El Segundo. The lawyer successfully challenged the case in the Superior Court arguing that the breath test was inadmissible due to a failure of the state to show the machine was in good working order at the time of the test. You do not have to accept a DWI arrest as meaning your record is tarnished for good, matthew can help get the charges dropped or minimized if you want his help. Do not agree to take any hand held Preliminary Alcohol Screening Device (PAS) Breath Test, unless you are under age 21 or are on probation for a DUI, the law does not require it. These devices are not accurate, they have the potential of spreading disease when bacteria builds uo inside the machine, and can only hurt your chances of prevailing in Court. By law, the arresting officer should admonish the driver that they can decline to take the PAS, but most police officers do not clearly advise the suspect properly. It is perfectly acceptable to ask the cop if you have the option of refusing the test. Do not agree to submit to any Field Sobriety tests. First of all, they are not "tests" you do not get a score and they are completely subjective. Do not take them. Most experts agree that the "tests" are accurate in showing alcohol impairment, at best, in roughly 70% of the cases, that means at least 3 out of 10 drivers are falsely accused of DUI if the arrest is based solely on FST evidence. Do not make admissions about your level of intoxication or sobriety. Remember, you have the right under the Constitution to remain silent-exercise that right! Saying "I feel a little buzzed" or the drinking "made me tired" is the same as saying you are guilty of driving under the influence. Do not tell the officer where and when you were drinking. This information is used to deny you the chance of utilizing a rising blood alcohol defense in Court. Do ask to speak to a Lawyer before answering any questions about drinking or your level on intoxication following a DUI traffic stop. You have the right to do this (the exception is choosing which test you will submit to, speaking to a lawyer before choosing the breath or blood test is not permitted in California). Do take the breath test (not the PAS), when given a choice between breath or blood, upon being lawfully arrested. The breath test is easier to challenge than the blood test. Do consult a DUI Lawyer immediately upon being released from jail. You must get the vital information about preserving evidence, securing vital witnesses and obtaining necessary Court dates and a temporary license. Do not go to Court and try to represent yourself. Would you operate on yourself if you had a medical condition? Do not delay in requesting a DMV hearing ASAP in order to save your drivers license after a DUI arrest. You have 10 days to avoid certain license suspension. If you or someone you care about is facing a DUI charge, contact the DUI Attorney who fights for his clients. Call DUI Attorney Matthew Ruff toll free at 1-877-213-4453.